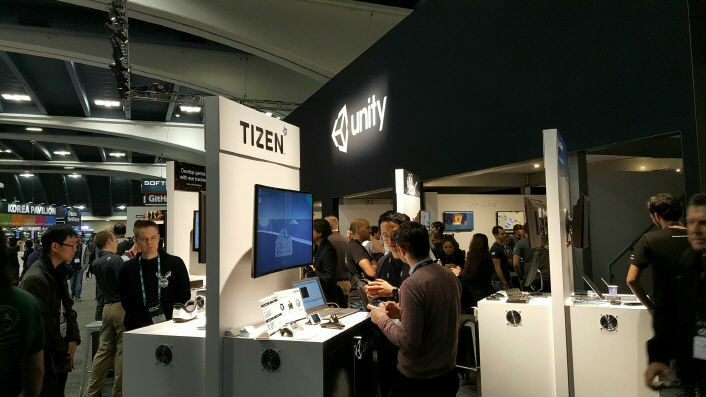 This year, Samsung Electronics—in cooperation with Unity—is presenting an important development, bringing the popular and powerful Unity 3D game engine to Tizen. 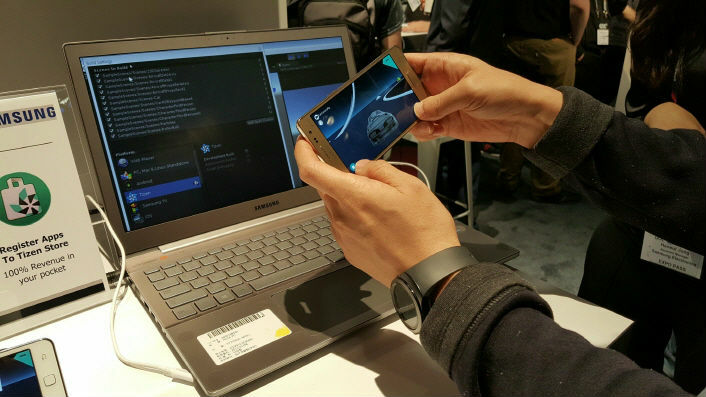 Visitors to the exhibition were able to try out the Tizen Unity demo for the Z1 and Z3 smartphones, as well as for Samsung Smart TV. Through this powerful new tool, developers will be better able to create engaging, innovative games for the latest Tizen-powered devices. 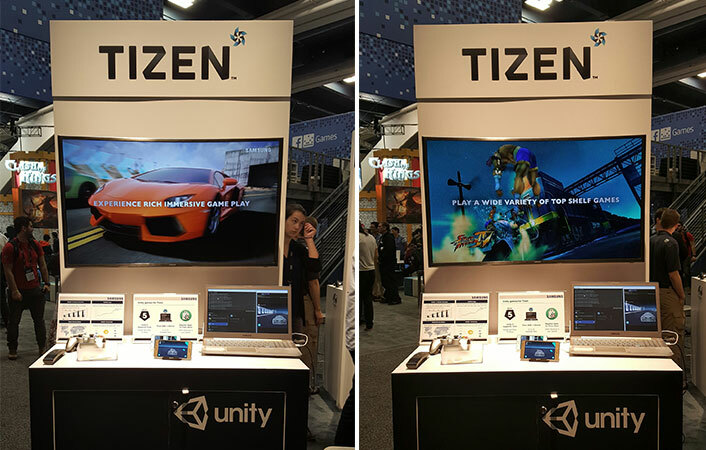 Check out these photos of the Unity 3D game engine for Tizen in use at GDC 2016. 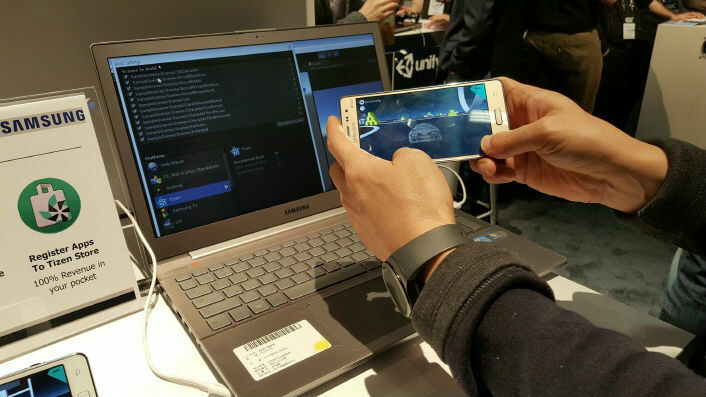 Samsung staff demonstrates the benefits of the Unity engine for app development on the Tizen platform at GDC 2016. 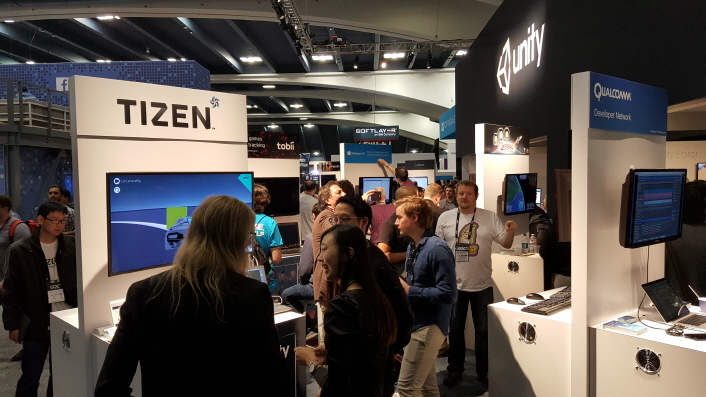 The Samsung TV Games and Samsung Mobile Z display booth at GDC 2016. 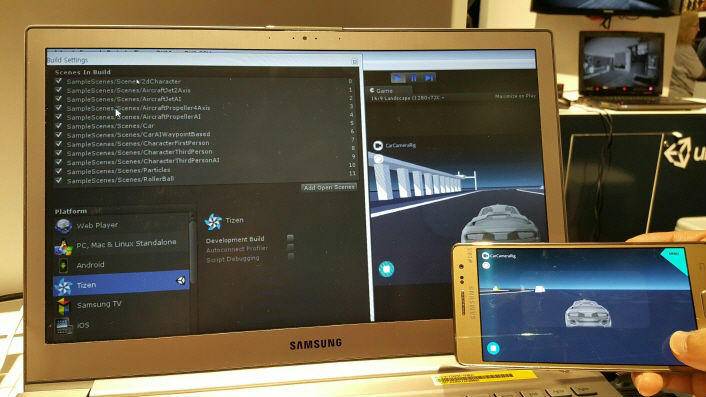 Images of a Unity-based car racing demo app being played on the Tizen platform.